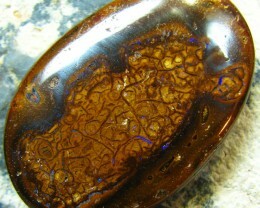 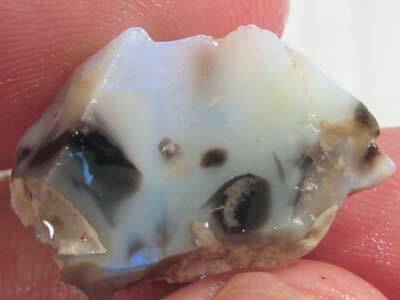 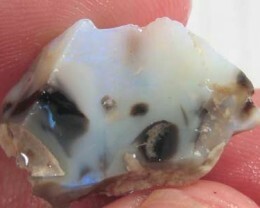 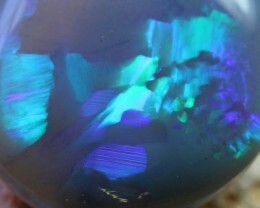 PICTURE OF THIS OPAL IS TAKEN WET SO YOU CAN SEE THE FIRE HOW IT WILL CUT AND POLISH. 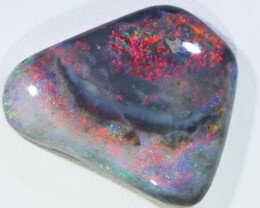 OPAL FROM THE GREEK WORD OPALLOS MEANING TO SEE CHANGE OF COLOUR IS A FORMATION OF NON CRYSTALLINE SILICA GEL MILLIONS OF YEARS AGO THIS GEL SEEPED INTO CREVICES AND CRACKS IN THE SEDIMENTARY STRATE. 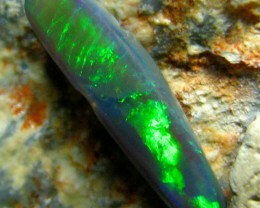 THROUGH EONS OF TIME AND THROUGH NATURES HEATING AND MOULDING PROCESSES THIS GEL HARDENED AND CAN BE FOUND IN THE FORMS OF OPAL. 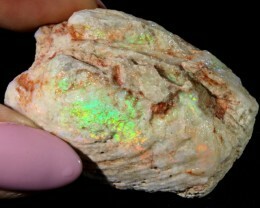 TO VIEW MORE ROUGH OPAL CLICK HERE.